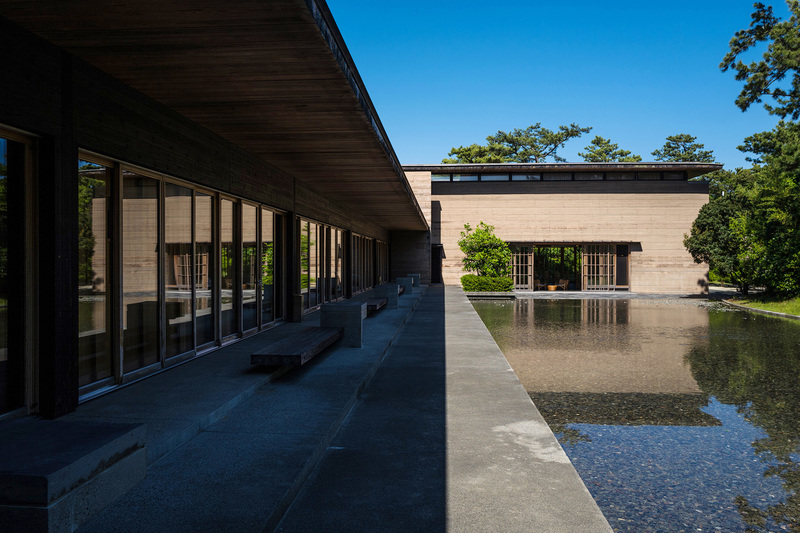 The hotel was designed by contemporary architect Akira Watanabe. It would prove to be his final commission, completed shortly before his death and along with Numazu’s sister property Niki Club in Tochigi built in 1986, book-ended his brief but illustrious career. 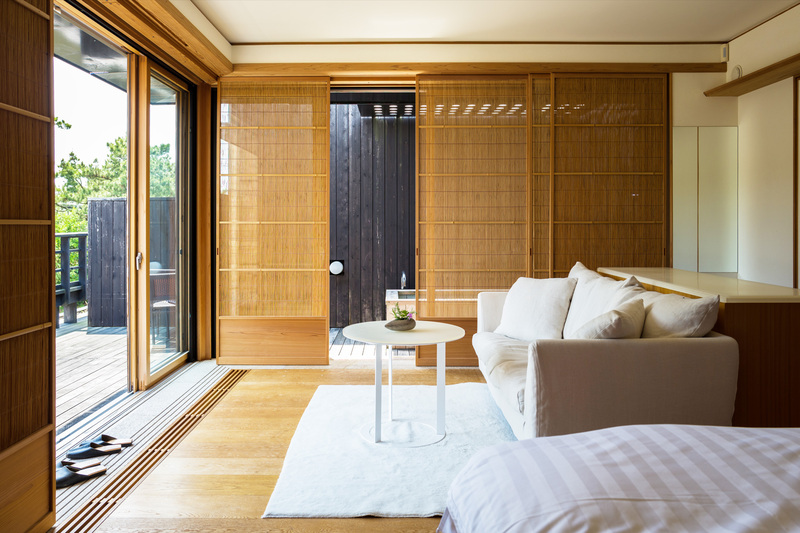 Watanabe’s design has just eight rooms including two suites, subtly fusing Japanese and Western aesthetics. Clean lines, organic materials, and natural light create open, inviting spaces, while the sound of the sea in the distance soothes the soul. 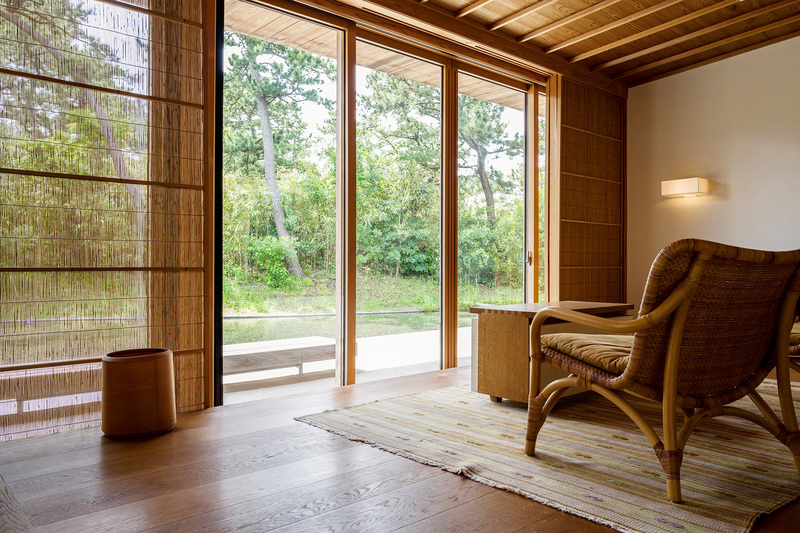 Each room is unique, with two rooms offering futons laid on tatami mats (101, 103) and six rooms with either one Queen (210, 202) or two extra-wide Twins. 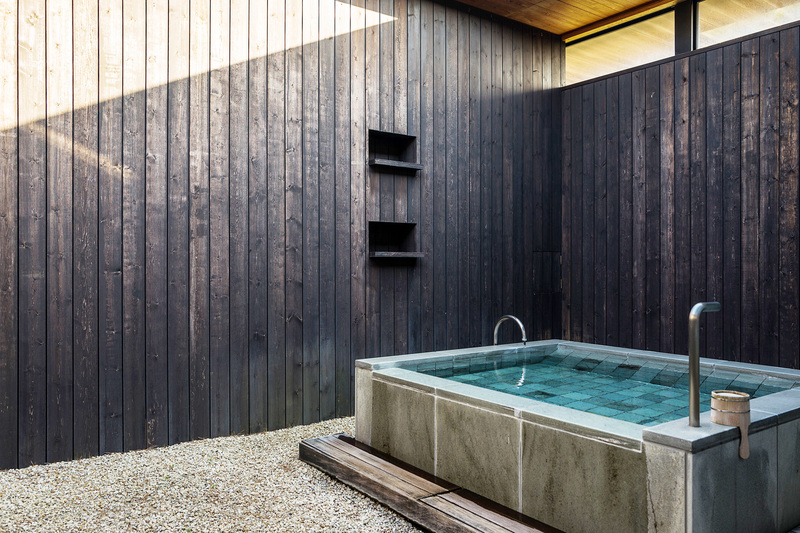 Three of the rooms have a private outdoor stone tile soaking bath (210, 202, 203), while the others have large cedar tubs indoors. Please specify your room choice at booking.